In 1972, Munich was host to the Olympic Games, and the region got a nice new regional train (S-Bahn) system for this event. The stadium area was connected to the rail network by a new-built station, which was closed down after the games because it wasn’t needed anymore. The subway (U-Bahn) now connects this area to the city center, with Olympia-Einkaufszentrum being the nearest stop to the former station. I wanted to take some pictures of this ruin for a while now, but never actually went there, mostly because I was told it was a bit hard to find and there’s not much to see anyway. Yesterday, I spontaneously decided to just go there for a couple of photos in the snow. 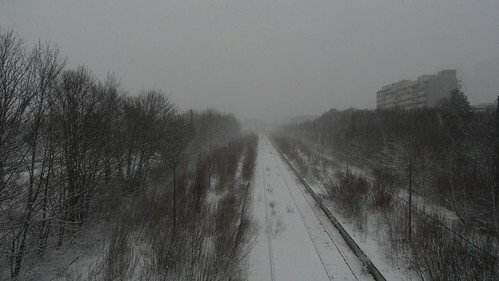 That turned out to be a rather bad idea, because it was hard to make out anything in this weather, and I’ll definitely go back there in the summer. 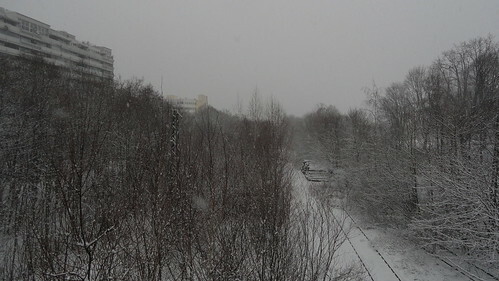 This is the view across the old station, with the station building barely visible through the falling snow. The rails, catenary poles and platforms are all that remains. Same location, other direction – the point area has been dismanteled even more. 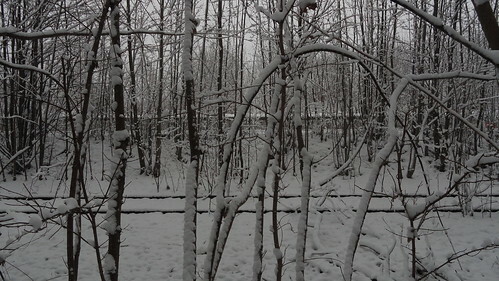 In addition to the four passenger tracks, there are also some rails that do not connect to any platform and seem to pass the station building. No clue what they were used for back in the day. 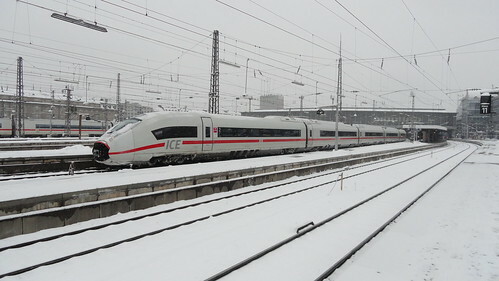 As a bonus, I also spotted my first Velaro D (aka “New ICE 3”).